Fixstars Corp. has unveiled a new 2.5-inch SSD which offers 6TB of storage. The Fixstars SSD-6000M is a 9.5mm thick 2.5-inch form factor SSD with a SATA 6 Gb/s interface. It doubles the capacity offered by its own recently announced SSD-3000M drive and soundly trumps the 4TB SanDisk Optimus Max. 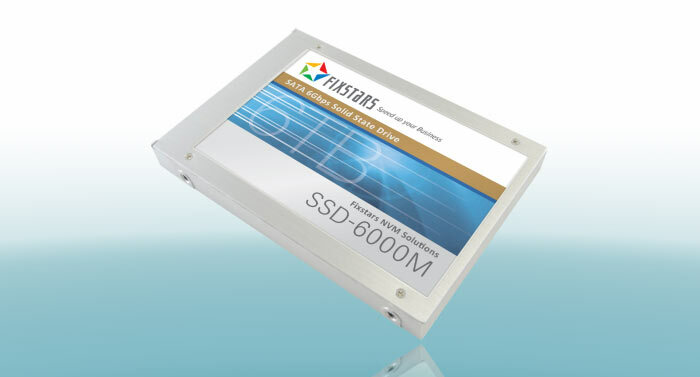 The Fixstars SSD-6000M memory chips are 15nm class MLC NAND. The 3TB Fixstars SSD-3000M employed 19nm MLC memory from Toshiba. We presume that the use of flash memory normally destined for small-scale mobile devices is again the key behind the amount of storage Fixstars squeezes into the 2.5-inch form factor. Fixstars is said to construct the drives in Japan. The drive controller employed by the firm is described as "proprietary". Modern SSD features including NCQ, TRIM, and SMART are all supported by the drive. Sequential performance of the Fixstars SSD-6000M is said to be up to 540MB/s read and 520MB/s writing. Only slight variations in these sequential performances will be observed by users' promises the maker. It promises "always fast," performance as its proprietary technology "prevents latency spikes and performance deterioration over the life of the drive". Target markets for these Fixstar drives include the likes of; advanced driver assistance systems, video and broadcasting, big data analysis, medical imaging and communications systems. Any applications that require a stable sequential access to large volumes of data will benefit from these capacious SSDs. According to the Japanese press release Fixstars SSD-6000M drives will start to ship in late July with pre-orders being taken from today. Buyers will benefit from a three year warranty. Pricing is yet to be revealed.